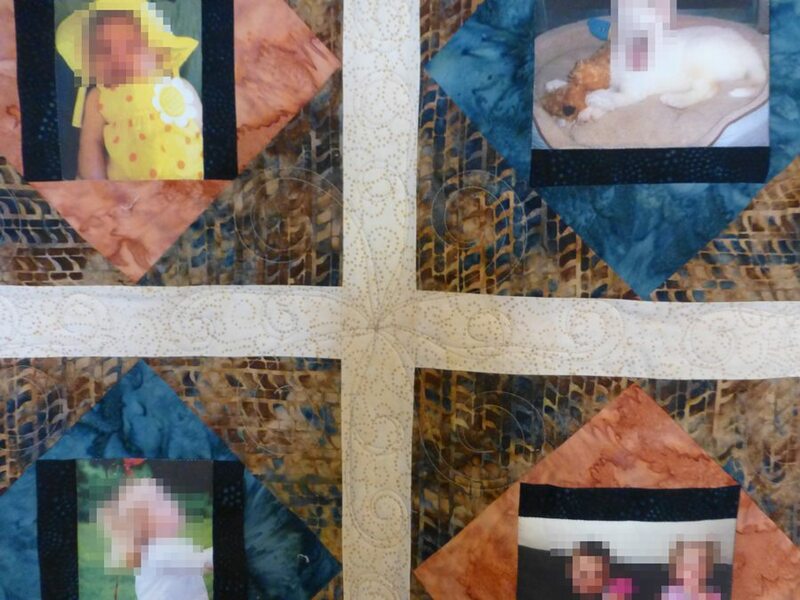 I love this super example of using photos in a quilt. This is a precious masterpiece and I’m pretty sure the receiver would have cried to be given such a gift! The batik fabrics are perfect with the photos. The 4 corners have special embroidery designs. 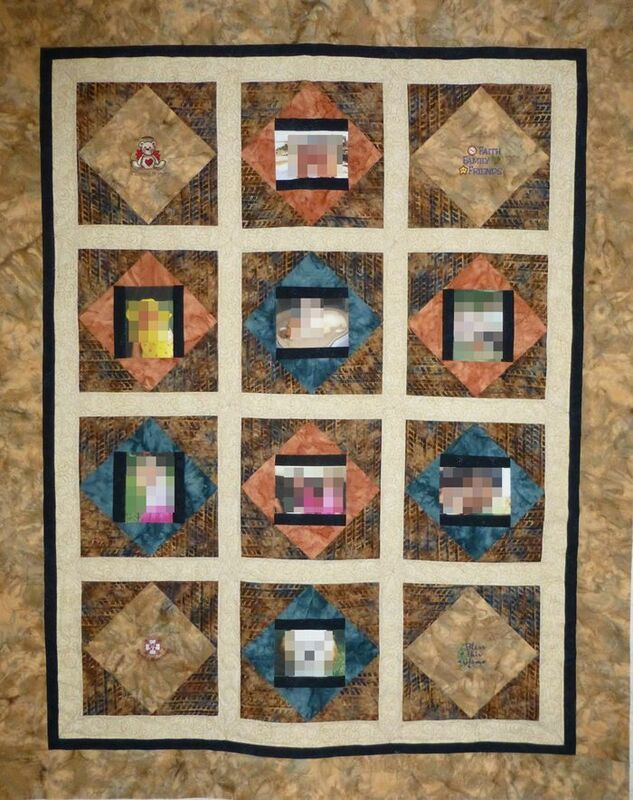 I did all custom freehand quilting and used the sashing & the on-point brown corners as the basis for each quilting design. 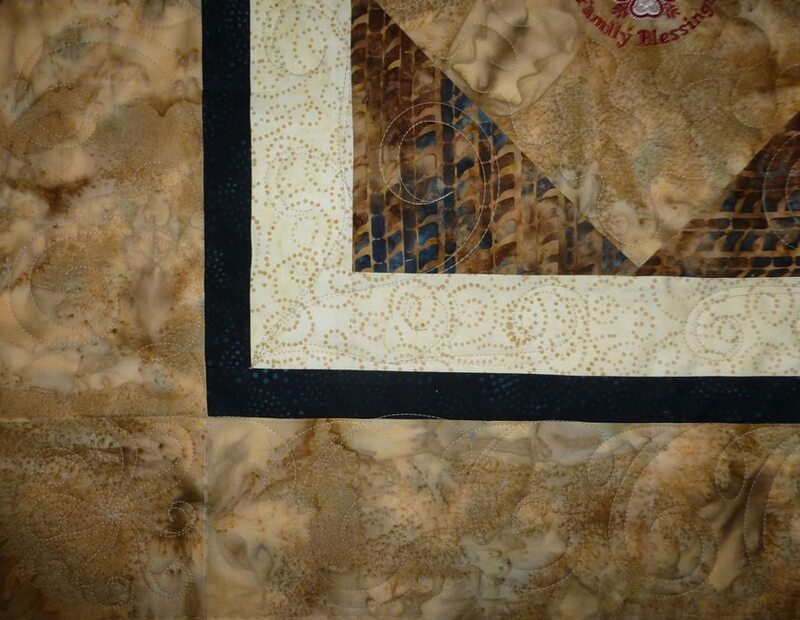 The quilting for the sides tie the cream border to the quilt and then a swirl in the outer border compliments the rest of the quilting.